As a cloud customer, vendor, security auditor or regulator, you may have been involved with ensuring security in the cloud. Although numerous standards, regulations, and controls frameworks exist to ensure compliance with security best practices, a harmonized and cloud-focused guidance can be quite valuable. 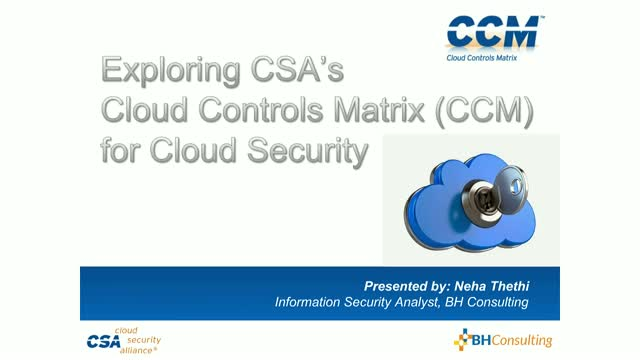 In this webinar, we will explore how the CSA Cloud Controls Matrix (CCM) framework provides organizations with such a harmonized guidance and needed structure relating to information security tailored to the cloud industry. We will also discuss how the CCM addresses assurance of legal and interoperability aspects of the cloud.